As a partial agonist, buprenorphine produces less respiratory depression and weaker feelings of intoxication than full agonists (such as heroin, diamorphine, or methadone) . At low doses, it prevents withdrawal symptoms and the desire to use illicit opioids. Meanwhile, high doses do not increase intoxication [4, 5]. Buprenorphine does not cause the cycle of highs and lows linked to opioid misuse and is consequently associated with a lower risk of abuse, side effects, and overdose than full opioid agonists. Despite this, it can precipitate withdrawal symptoms if taken by a person with an opioid dependence who has a full agonist in their bloodstream [2, 4, 5, 6]. 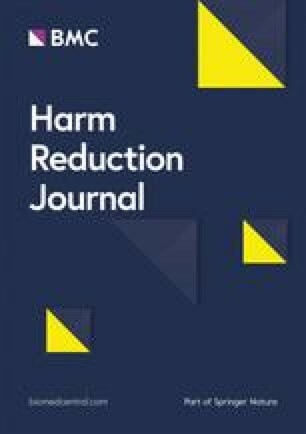 Recent investment in prolonged-release buprenorphine (implant and depot injection formulations) has been prompted by global increases in opioid use and poor adherence to existing short-acting opioid medications [7, 8, 9]. Patients treated with implants and depot injections do not need to collect their medication daily from services; a change which is expected to reduce the treatment burden for clinicians and patients, prevent medication diversion, increase treatment compliance, and benefit patients living in areas where access to medical facilities or clinics is limited [6, 7, 8]. Nonetheless, there is a lack of research evidence supporting these assumptions. This is because studies of new medicinal products typically focus on product characterization, safety, and efficacy, without considering how patients might use, not use, or misuse medications once they are approved and being prescribed within real world settings [10, 11, 12, 13, 14]. Lastly, our findings suggest some political, philosophical, and ethical issues about prolonged-release OAT that merit consideration. First, participants did not tend to perceive it as a ‘maintenance’ medication; instead, they generally assumed that the endpoint would be detoxification and abstinence. Indeed, some participants questioned whether anyone should ‘ever’ be maintained on OAT. In addition, several participants suggested that prolonged-release OAT could be a useful criminal justice treatment, and one participant argued that people who use opioids are incapable of deciding to have a treatment that would last 6 months. Participants’ focus on abstinence (rather than maintenance) may have been influenced by the current emphasis on ‘recovery’ in UK policy and practice [21, 22, 23]; therefore, this finding might not be replicated in other countries and policy contexts. Coerced treatment, patient choice, and mental capability in treatment decision-making are, meanwhile, sensitive issues that have been debated in relation to other long-acting medications such as contraception [24, 25] and antipsychotic medications [26, 27]. It is difficult to draw any firm conclusions from the findings we report here, but the relationship between medication duration, choice, mental capability, and human rights will almost certainly feature in future discussions about prolonged-release OAT.